A rich, creamy pasta sauce with sweet onions, savory tomatoes, peppery seasonings and sharp parmesan. 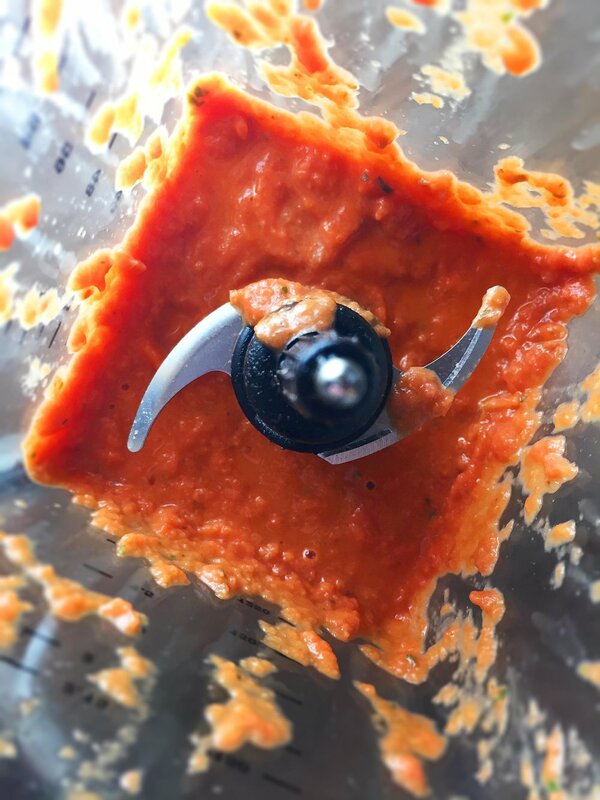 This sauce is versatile and easy to throw together with things you probably already have. My belly is growling. 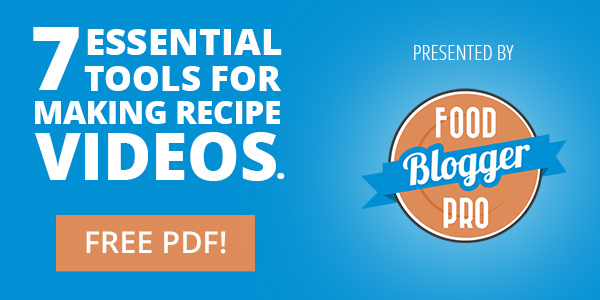 Jump to the recipe, please! Have you ever noticed how much colder it feels when it's already been warm and the temperature dips back down? I've been walking around for weeks without needing a coat, and it's SNOWING today! My body is reacting like it's sub-zero in my nearly 70º house. I'm dealing. 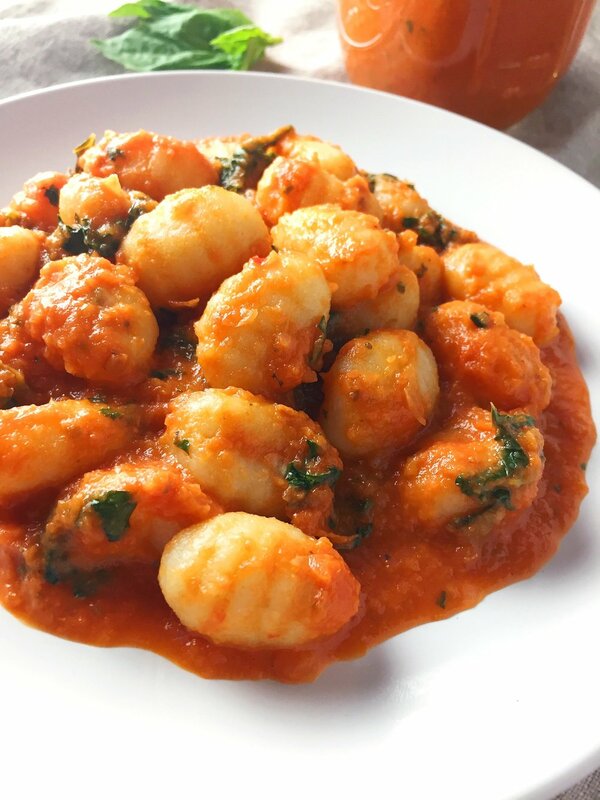 So on a shivery, grey day what better to warm up with than a hearty plate of gnocchi? I got the idea for this recipe while shopping at one of my favorite health food stores after a long day out in Knoxville. I was so tired, but I really wanted to eat well that night. Knowing I had a good hour-long drive home, I was looking for convenience food, but like, good convenience food. Something I would feel good about eating and re-eating for lunch the next day. I settled on a few different kinds of frozen ravioli you can buy in bulk—red pepper eggplant, spinach ricotta, one with sausage, I think—and some vegetables. So I just needed a sauce. I wandered over to the refrigerated section where they have fresh sauces I always want to try, and saw this incredible-looking vidalia onion sauce that REALLY pulled me in. I could smell it. I could taste it. I was ready to drink it. But it was too expensive for me to justify at that moment. Listen, I’m not above spending nearly $8 on a little jar of sauce I want to try, but I was already almost over my grocery budget and the ravioli was reasonable, but not exactly cheap. Plus, I knew I could make it at home. I mentally noted the color and texture of the sauce, glanced at the description on the jar and made a plan. The best part? I already had all the ingredients. In fact I always have these ingredients, and if you cook often, you likely do too. 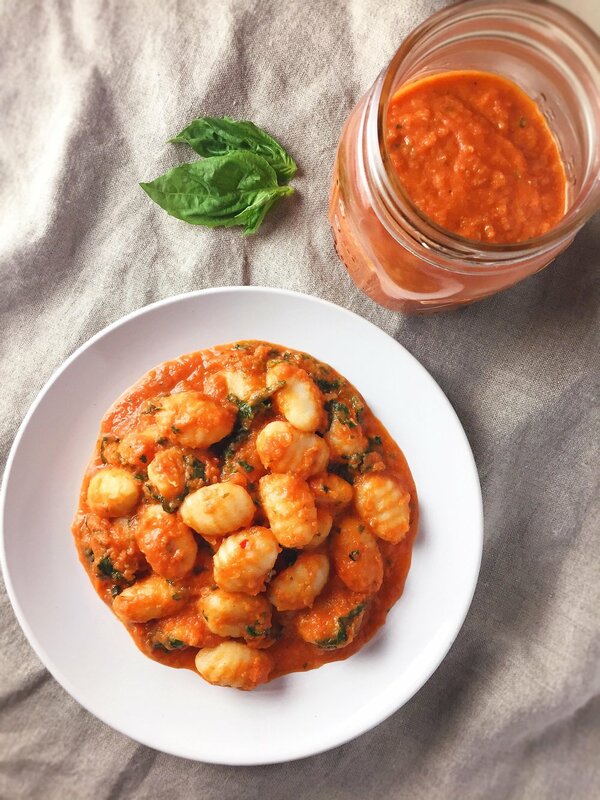 This sauce goes great with gnocchi texturally because while it’s thick, it’s pretty smooth. It wraps around the ravioli like the edible manifestation of a bear hug. 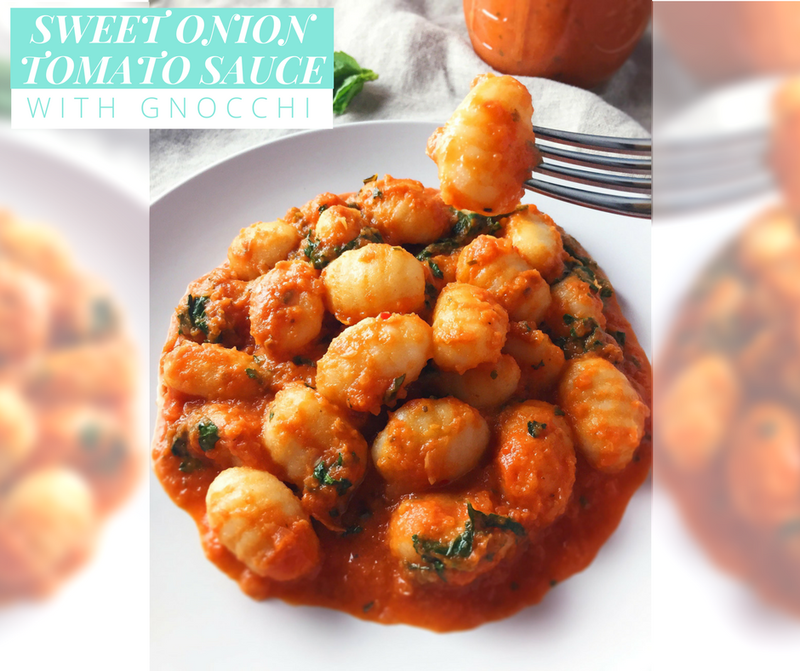 Beyond that soft, pillowy gnocchi makes a tasty canvas for the sweet and savory flavor of this Roasted Sweet Onion Tomato Sauce. 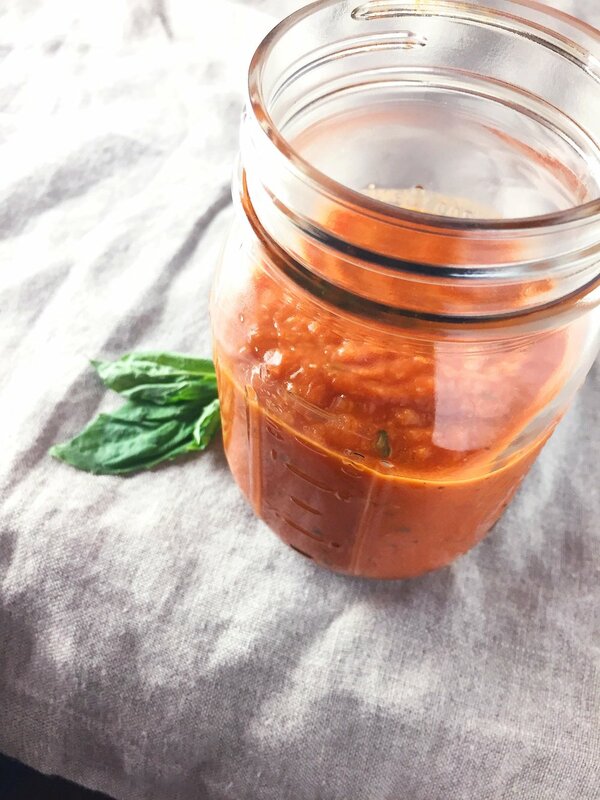 This Sweet Onion Tomato Sauce is super easy to make, and it comes together pretty quickly. It's going to be really great for you if you aren't a fan of doing a lot of chopping, or if you're just too tired to do a bunch of that tonight—which I totally get. It's the reason I thought about buying the sauce in the first place! The plan I made in the store was pretty simple, and I was pretty sure I could knock it out in about half an hour. 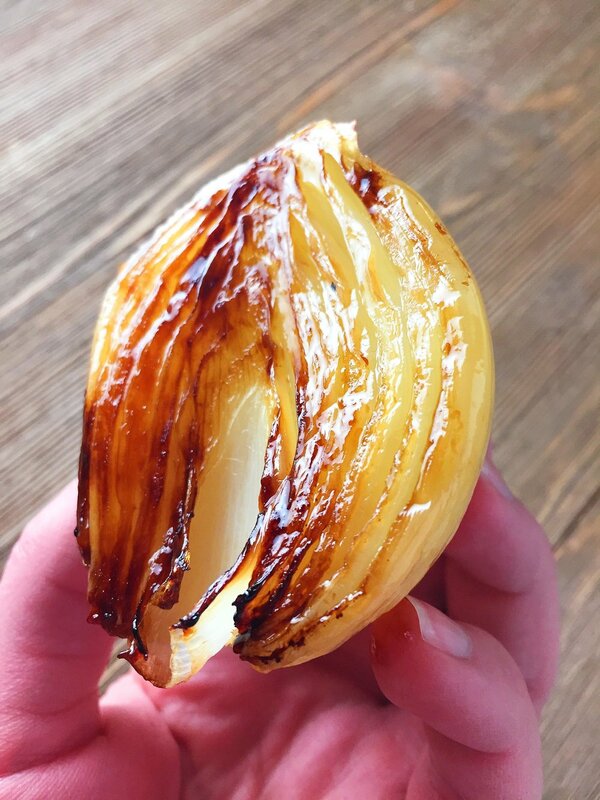 I just needed to roast some sweet onions until they were a little caramelly, and incorporate them into a simple tomato sauce. Like I said, I was pretty worn out, and besides, roasting the onions whole seemed like the way to go. So what to do? Bring out the blender. It honestly made things go so quickly. I just simmered the tomatoes while the onions were in the oven, added everything to the blender, and voila! Beautiful sauce that tasted like a lot more work went into it. Now for some salt, fat, acid and heat action. 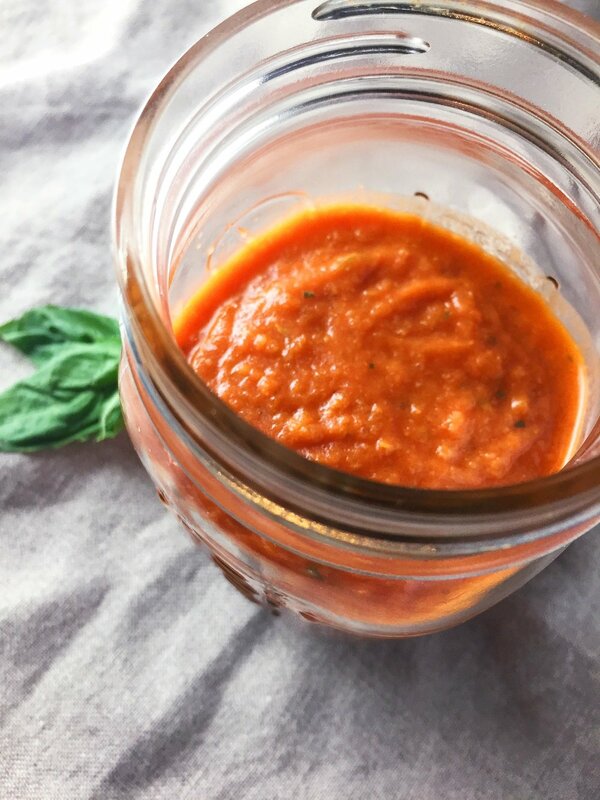 A little honey, red pepper flakes, white wine vinegar, basil parmesan cheese and cream go in to build a sauce that tastes like it came from a restaurant (or an $8 jar at a health food store). I’ve also tried the sauce with pork loin (amazing) and I’m sure it would go with chicken or steak. Probably even with some seafoods like mussels or scallops. It would work well with long noodles such as spaghetti or linguine, with ravioli or other stuffed pastas—really with just about any pasta. I have mixed feelings on the “rules” of pasta. I get the point. Pesto goes will with pastas it can stick to rather than pool in. Pastas with hollow shapes are going to go well with sauces they can scoop up like tasty little spoons. The thing is, some people have hard and fast rules just for authenticity’s sake. I think authenticity has a time and a place, and I can appreciate it. On the other hand, if I want bolognese sauce and only have angel hair on hand, I’m not going to the store just for authenticity’s sake. Besides, why shut down creativity or experimentation? Personally, I think it’s worth knowing the rules—if only so you can break them mindfully. There's something so satisfying about knowing you made it yourself, right? Oh, hey, and it's Lenten Friday friendly! I swear I didn't intend to post a chicken recipe on a Friday last time. 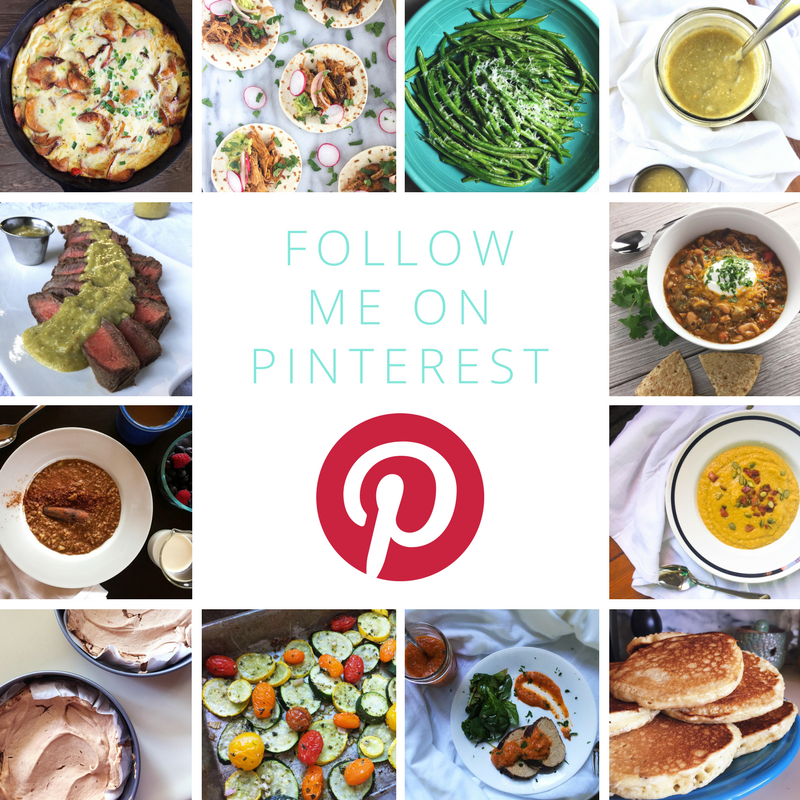 If you like this recipe, you may want to sign up for my email list for more. 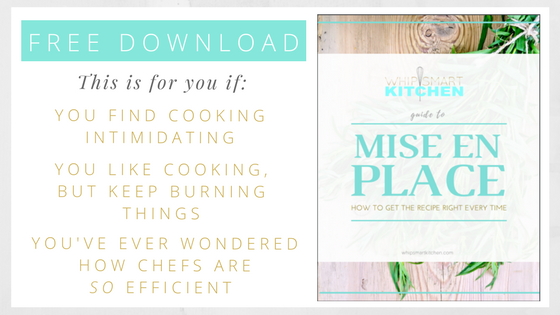 If you sign up, you get a free guide to overcoming one of the biggest commonalities of people who say they're not good at cooking—and one of the easiest things to fix! Just click on the graphic below to sign up and download. Until then I'll be here trying to warm up, and hoping all our flowers still bloom and plums and grapes still come in, unlike last year after a 75º February and a bunch of cold snaps. Give me something to look forward to here. Rich, creamy pasta sauce with sweet onions, savory tomatoes, peppery seasonings and sharp parmesan. 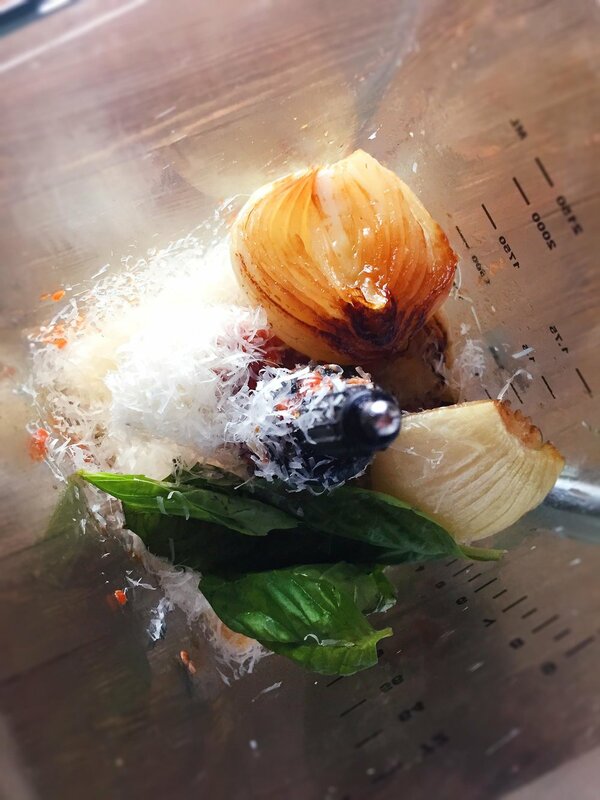 This sauce is versatile and easy to throw together with things you probably already have. 1. Lay the onions flat side up in a small pan (such as a loaf pan) and drizzle them with one tablespoon of olive oil. Turn them flat side down. 2. Place the garlic cloves on a little bit of foil and drizzle with just enough olive oil to coat them. Wrap them up and put them in the pan with the onions. 3. 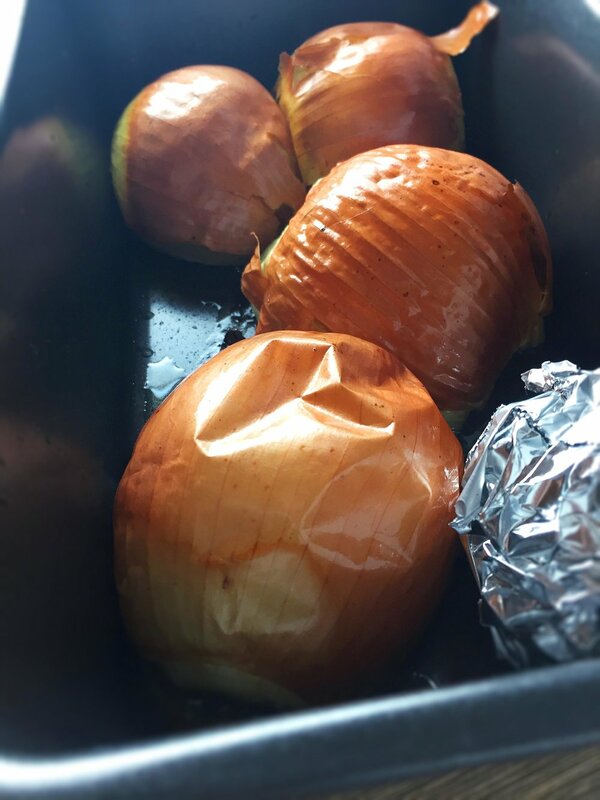 Bake for 35 minutes, or until the onions are very soft and just beginning to brown. 4. Meanwhile, warm a large pan over medium heat and add the oil. 5. Once the oil shimmers, add the tomatoes and their juices along with the oregano, salt, pepper and red pepper flakes. Bring to a simmer. 6. Turn the heat on the tomatoes down to low and continue to simmer, breaking the tomatoes down with a wooden spoon as they soften* (tomatoes should cook for about 30 minutes, or until the onions come out of the oven). 7. Remove the pan from the oven and let everything cool until you can safely touch it. Remove the skin from the onions and unwrap and peel the garlic. 8. Place the onions, garlic, tomato mixture and all remaining ingredients in a large food processor or blender and pulse pulse until smooth. 9. Serve with gnocchi, any other pasta, or even meats or pizza. 1. 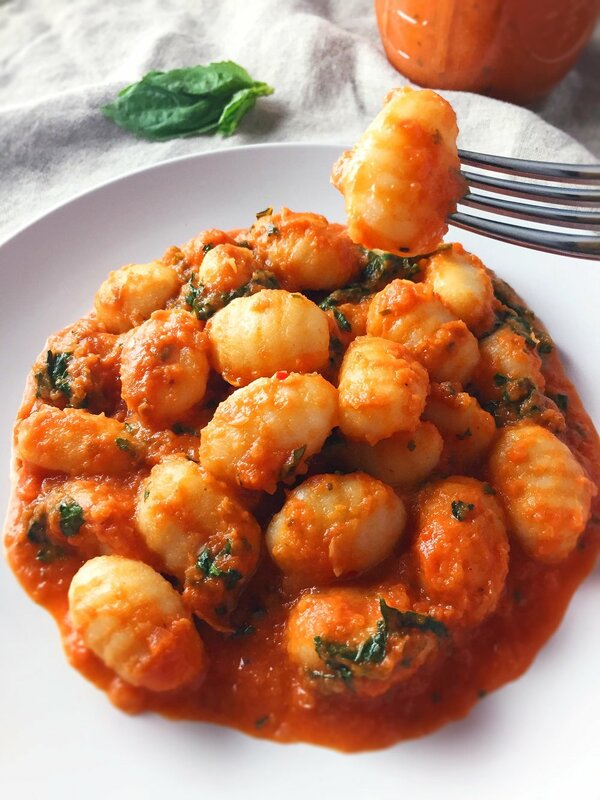 Cook gnocchi to al dente as directed by instructions. 2. 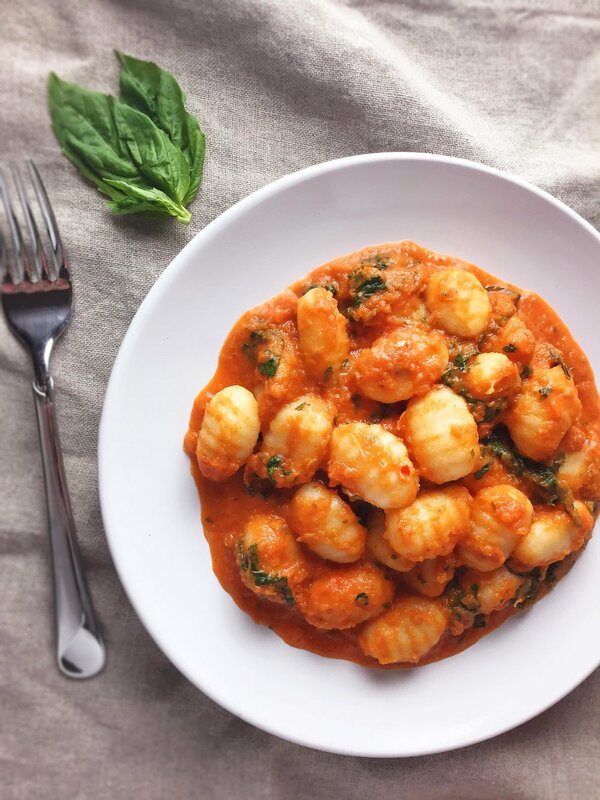 Once the gnocchi is in the water, heat a large pan over medium heat (you can use the same one you used for the sauce if you just made it)†. 3. Add a little oil and once it shimmers, sauté the kale (if using) for a minute or so. 4. 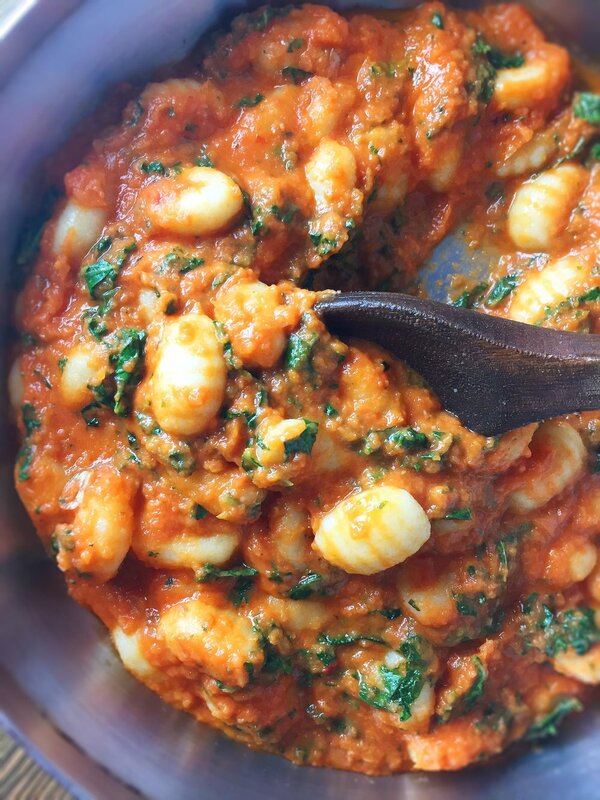 Once the gnocchi is done, add it to the pan along with the kale and mix lightly. 5. Add 2-3 cups of the sauce to your liking and mix to cover all the gnocchi. 6. Remove the pan from heat and serve warm! 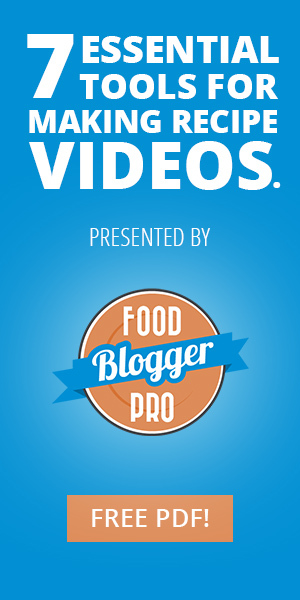 * Really do wait until the tomatoes soften up a bit and release some juices to start breaking them down. If you don't and there is something white within 50 feet of your kitchen, it will get sprayed with tomato juice. † I know it makes more dishes, but I recommend using a medium-sized sauce pan for the tomatoes, as it will be easier to pour them into the blender or food processor. 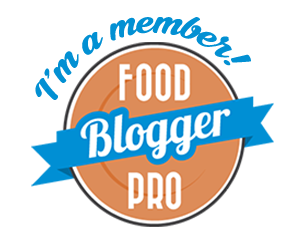 • Of course you can always sub in frozen basil or partially dried basil for the fresh if you have that. Dried basil is fine too, it just won't pack as much of a punch. Start with a teaspoon and add more to taste. • If you're particularly opposed to adding the cream or don't have any on hand, you can leave it out. I would recommend adding a little more parmesan and maybe a splash of half and half or a spoonful or two of greek yogurt instead for a similar effect. I wouldn't bother with milk.